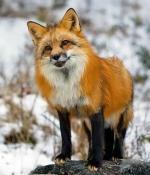 Rueppell's Foxes have a body length between 40 and 52 cms (16 - 20.5 inches), a tail length between 25 and 39 cms (10 - 15.5 inches) and they weigh between 1 and 3.5 kgs (2.25 - 6.5 lbs). 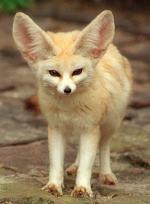 They have sandy or silver/grey coloured fur with a pale coloured underside. The tip of their tail is white and they have black markings on their muzzle. 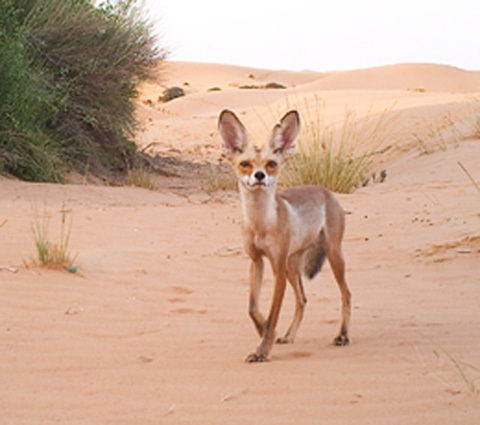 Rueppell's Foxes can be found in deserts and arid regions of north Africa and west Asia. 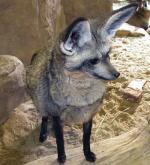 Rueppell's Foxes feed on invertebrates, small mammals, reptiles, eggs, fruit and carrion. After a gestation period of 51 - 53 days, Rueppell's Foxes give birth to a litter of 3 - 6 cubs. They are weaned by the time they are 2 months old and are independent at 4 months old. They reach sexually maturity at approximately 1 year old. 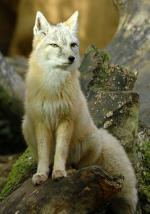 Humans, birds of prey and owls are predators of Rueppell's Foxes.